Keeping your teeth clean and healthy necessitates regular visits to the dentist. However, if you don’t have dental insurance through your employer or union, then those six-month checkups can be costly. Fortunately, these “Find A Dentist” services and dental insurance comparison sites can help you find a dentist that fits your needs. These services enable you to be paired with a dentist that is in your price range and who can perform the services you need. Below we will look at how to find a dentist with these online services and what their advantages and disadvantages are. First, it is important to clear up what the differences are between dental referral services and dental insurance comparison sites. A dental referral service, like 1-800-DENTIST, is a free service conducted either online or over the phone that helps you find a dentist in your local area. Typically, the process works by you filling out a questionnaire where you can detail what dental services you need, what type of insurance you have (if any), and whether that insurance places restrictions on the dentists you can use. Additionally, the questionnaire will typically ask about your preferences in a dentist, such as the location of the dentist and what kind of work that dentist can perform. After completing the questionnaire, a representative for the dental referral company will get in touch with you via phone or email to go over more of your preferences and then match you with a dentist who fits most or all of your criteria. The process usually takes less than an hour. What Are Dental Insurance Comparison Sites? A dental insurance comparison site, on the other hand, will compare different dental insurance companies in terms of what they typically offer. While a dental insurance comparison site won’t help you find a dentist directly, they can be a useful step towards doing so. That’s because not all dentists accept all insurance plans. 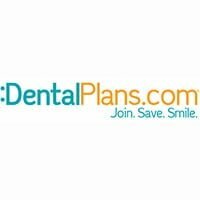 So when you use a dental insurance comparison site you can find which plan offers the best premiums and which plans are most widely accepted in your locality. That can help you narrow down which dentist will be most affordable for you. What Are the Pros of Using A “Find A Dentist” Service? There are a lot of benefits to using dental referral services for finding a dentist. For one, the services are usually completely free, so there is no risk in taking advantage of them. Secondly, you can specify what matters to you most when looking for a dentist and the referral service will help pair you with a dental office that meets your criteria. This is a huge advantage since trying to find a dentist on your own who meets your criteria can be time-consuming. Without a dental referral service, you could end up spending the entire afternoon calling around to local dentist offices asking if they accept your insurance plan, perform the service you need done, and if they even have availability. A dental referral service already has a profile of the dentists that it conducts business with, thus they take care of all of this hard work for you. What Are The Limitations Of Using A “Find A Dentist” Service? As with any service, a dental referral service has some limitations. While the service is usually free for patients to use, typically dentists pay the referral service a fee in order to help them acquire new patients. Therefore, when you use a dental referral service you will typically be paired with a dental office that is paying the referral service to market their company. As a result, some dentists who do not pay for the referral service but who may be a better fit for your needs could slip under the radar. 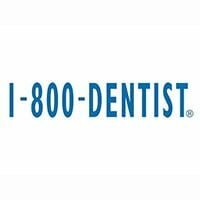 Are There Alternatives To Using A “Find A Dentist” Service? A dental referral service is a powerful tool to help you find a great dentist, but it is by no means your only tool. You should also check in with your dental insurance company to see which dentists they recommend. Dental insurance companies typically only work with reputable dentists. If you don’t have dental insurance, then you should use a dental insurance comparison site as the first step towards helping you find a dentist. Also, keep in mind that in some states Medicare, Medicaid, or CHIP may cover some dental procedures. Keep in mind that Medicare is available only to those who are 65 or older and doesn’t cover most routine dental care. It may cover emergency procedures, however. Medicaid coverage, meanwhile, is determined by states. In some states, Medicaid offers very limited dental coverage while in other states you may be able to get comprehensive coverage. CHIP also varies from state to state and applies only to children who are under 19 years of age. In most cases, however, it will cover routine dental care.